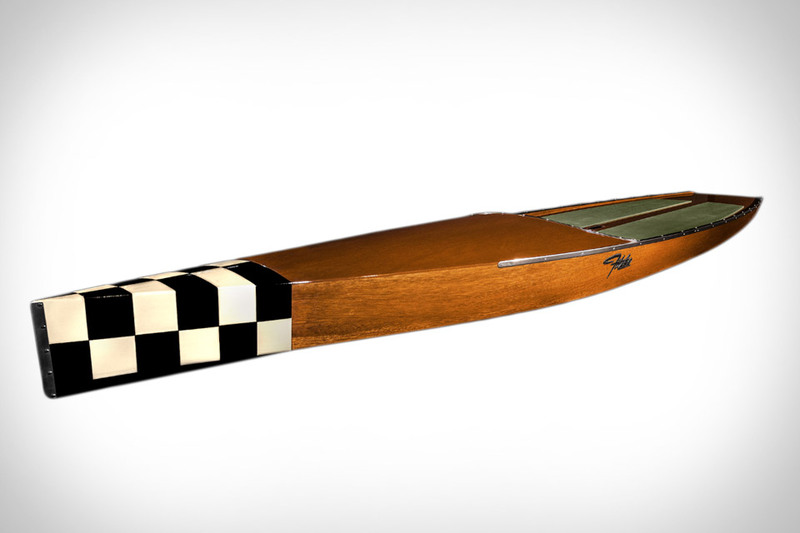 Inspired by Prohibition-era airplanes and boats, the Fitzke Bootlegger Paddleboard exudes retro charm. The exterior is made from high-quality marine-grade mahogany plywood, with a touring-style design that tracks straight and fast. Its hand-painted graphics are protected under a finely-buffed varnish for protection, and since less than 10% of the vessel is solid wood, you don't need to worry about weather-related expansion. The 12.5-foot board's signature feature, however, is the water-resistant storage compartment hidden in the front of the board that's ideal for your shoes, wallet, keys, or, as the name suggests, a small tipple of your favorite spirit. Each board is made-to-order by hand, making each unique to its owner. Built using input from professional kayakers and rafters, the Klymit LiteWater Dinghy is a highly portable watercraft. Its inflatable form weighs just 35 oz., and inflates easily thanks to the included pump that doubles as a dry sack when you're on the water. Its arrow-shaped design is highly maneuverable, and the built-in inflatable seat is both comfortable and provides insulation on cold water. Suited for use on land or in the water, the Pigro Felice Modul'Air Inflatable Armchair Set is a versatile piece of furniture. It's made from a unique PVC material that is slip-resistant, safe for your skin, won't fade from exposure to chlorine or UV rays, and feels soft against your skin. The set includes two base modules, one backrest, and one pillow, letting it serve as a chair, lounger, or floating mattress. Available in a variety of colors. When you're far from civilization, having one piece of gear pull double-duty is nice. Having one piece of gear pull triple-duty, or beyond, is an absolute dream. Enter the Snow Peak Camp Couch from REI, which boasts the shape-shifting abilities of a table + two chairs, a plush couch, a sleeping cot — which folds out to an impressive 83 inches — and a stackable shelving unit. Like all the other equipment in REI's Snow Peak line, it's lightweight with a solid build quality that's meant to go everywhere and do everything, making it a great addition to your adventure gear. There's a great argument to be made that no one needs to own an assault rifle of any kind. But if you feel the need to have one around for protection or survival, the XAR Invicta Folding Rifle is an excellent choice. Thanks to a precisely-engineered, rock-solid mechanism, it folds in half on its axis without any loose parts to misplace. This allows it to be deployed in seconds and then quickly stowed away, while still offering pinpoint accuracy. Based on the AR15/5.56 platform, it's also compatible with a host of accessories. Developed exclusively for Royal Caribbean, the SeaSeeker Underwater Snapchat Scuba Mask is a one-off creation that will have guests wanting a pair of their own. It was designed to work with Snapchat Spectacles, allowing the wearer to snap underwater. The cruise line will be showcasing it on a series of dives later this month, with three well-known divers wearing the mask as they explore the whale sharks and reefs of Cozumel, Mexico, as well as the Great Blue Hole in Belize. Getting out on the water in your kayak this summer can be adventurous and relaxing. But the world beneath your vessel is finally fully transparent thanks to kayaks like the Driftsun Transparent Kayak. The polycarbonate hull is completely clear, giving you the ability to see the life below the surface as you glide across the water. The kayak includes a pair of adjustable, removable seats to make way for one or two people, and it's ideal for an easygoing ride or more choppy waters.